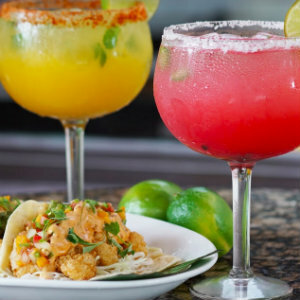 Cha Cha’s Latin Kitchen, the popular Latin-inspired eatery in the Irvine Market Place, is taking their first-year anniversary celebration to the next level with a special fiesta on Thursday, July 12. For one day only, the restaurant will offer Latin-inspired Lobster Tacos made with maseca dusted crispy lobster tail, chipotle cabbage slaw, heirloom pico de gallo, avocado, and roasted jalapeno crema, for $6 a la carte or $18 for a full plate. Guests can pair the Lobster Tacos with Cha Cha’s Latin Kitchen’s special anniversary El Palomar Margarita made with fresh serrano chili, orange liqueur, fresh squeezed lime juice, agave nectar, house-made hibiscus tea, hand-shaken with AsomBroso Blanco 100% blue agave tequila, for $10 (regular) & $15 (grande). Additional drink specials include $10 for a beer & an AsomBroso Tequila Shot and $20 for an AsomBroso Tequila Flight. No matter what time you’re dining, you’ll enjoy, live performances by either a live Latin band, a Mariachi band, or traditional Folklorico dancers. Cha Cha’s Latin Kitchen is pledging to donate a portion of the proceeds from the event to Olive Crest, a non-profit dedicated to preventing child abuse, treating and educating at-risk children, and preserving the family by focusing on One Life at a Time. Cha Cha’s Latin Kitchen is at 13126 Jamboree Rd in Irvine.